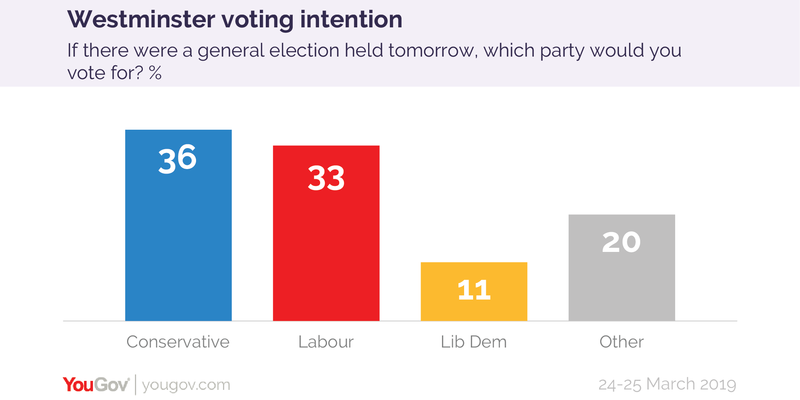 The latest YouGov/Times voting intention survey sees 36% of Britons backing the Conservative (from 35% in our last survey from 14-15 March) while 33% say they would vote Labour (from 31%). 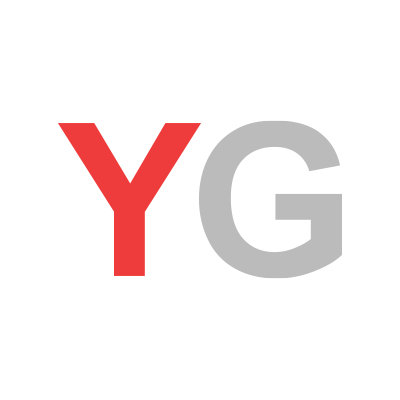 Elsewhere, the Liberal Democrats are on 11% (from 12%) and votes for other parties stand at 20% (from 21%). 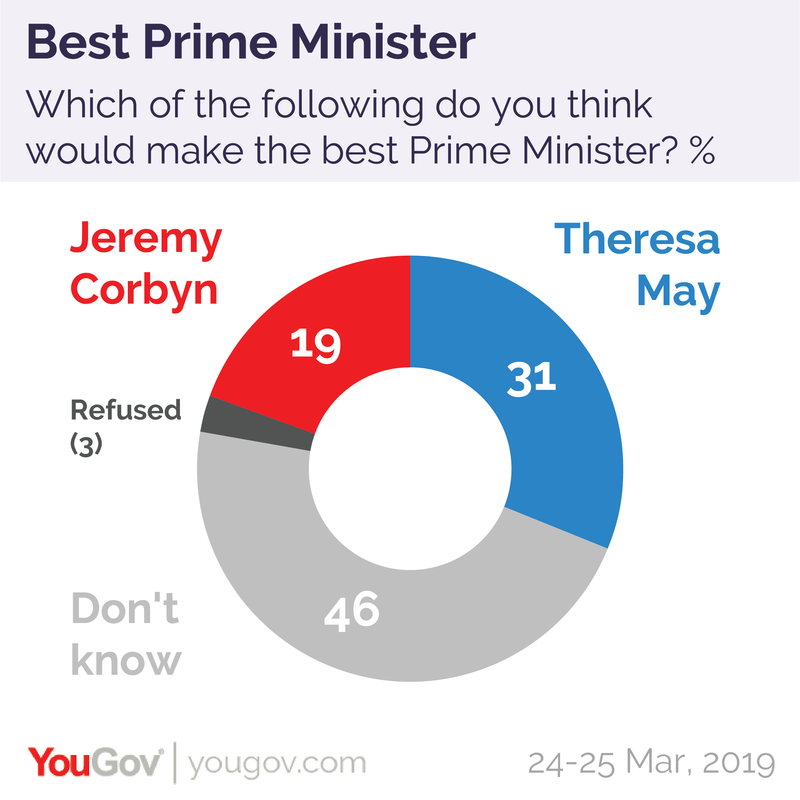 When it comes to who would make the best Prime Minister, this week&apos;s poll shows 31% of people prefer Theresa May while 19% favour Jeremy Corbyn. This is the Labour leader&apos;s lowest level of support since the 2017 general election. A further 46% answered "not sure".